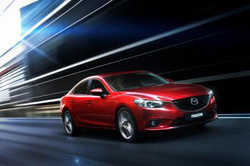 The track-proven Mazda6 offers more than just daily-commuting, people-hauling practicality. With a SKYACTIV engine and transmission, it blends efficiency and performance like few other midsize sedans. Its dynamic handling, quick acceleration and impressive 38 mpg highway (with automatic) will please both efficiency and performance-minded drivers. And with an all-new exterior design, updated features, available new turbocharged diesel engine and other changes that have been ushered in with this year's complete redesign, the Mazda6 sets an even higher standard for its competitors. Missouri residents can find a large selection of new 2014 Mazda6 sedans for sale in Springfield. Visit Reliable to explore the Sport, Touring and Grand Touring today! With improved styling, enhanced fuel economy and the newly added option of a diesel engine that produces up to 40 mpg highway, Mazda6 is an excellent vehicle choice for shoppers who value efficiency as much as a fun driving experience. For tech fans, there is also a lot to be enjoyed. Even at the base level, the Mazda6 offers standard features and options like an iPod/USB interface, multi-information display, Bluetooth hands-free phone and rearview camera. Additionally, if you're the type who is attached to your smartphone for personal or business reasons, technologies like Short Message Service (SMS) for hands-free texting and an updated speech-recognition system will come in handy. For more information about this year's redesign, please contact one of our sales representatives today. You may also stop by to test drive the 2014 Mazda6 at our dealership in Springfield, MO and speak with an associate face-to-face. Reliable Mazda is conveniently located on 438 S. Ingram Mill Rd., just off the US-65 S.
In the continuation of our 2014 Mazda6 review, you'll find additional vehicle specs and a video with footage of the sedan's redesigned exterior and new cabin. We're condifent that the Mazda6 is ideally suited for you. 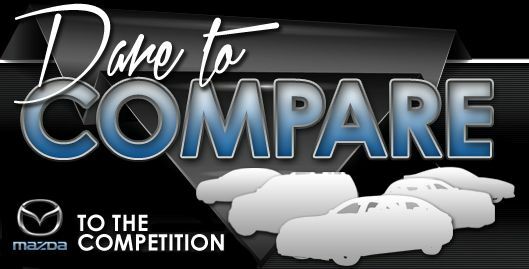 That's why we urge you to compare Mazda's newest model to the 2014 Honda Accord, Toyota Camry, Nissan Altima and the Ford Fusion. The Mazda6's got several noteworthy attributes, including its state-of-the-art cabin amenities and eye-catching exterior design. For Springfield Mazda customers who want a truly amazing value, just compare this vehicle's price to the vehicle options listed above and you'll see that it's a solid investment. 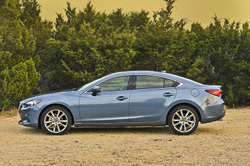 For more details about what it offers, check out the Mazda6's quick-facts list below. 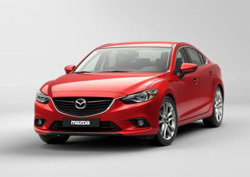 For reviews of the 2014 Mazda Mazda6 and preceding models, Reliable Mazda is your trusted resource. Our reviews are created by seasoned automotive writers - it's just another resource we provide as a chief Springfield area Mazda dealer. Everything perspective car buyers need to make sound decisions is right here, including info regarding safety features and other specs. Each section is loaded with invaluable data and specs - all at your fingertips. Thank you for reading over Reliable Mazda's 2014 Mazda6 review. Now that you know more about the Mazda6, fill out the form on the right to message us to learn about limited-time dealership offers and OEM incentives that can help you save on your purchase.